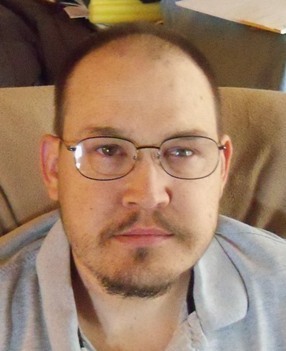 My son, William (Bill) Correll is 37 years old and has battled insulin-dependent diabetes since he was 10 years old. His health has declined and his doctors at the Mayo Clinic in Scottsdale have told us that he is in need of a life-saving kidney/pancreas transplant. Bill has diabetic neuropathy that attacks the nerve endings in the body tissue, as well as a stomach disorder that interferes with his digestion and often causes nausea. At the age of 25, he was diagnosed with sever osteoporosis which has caused several compression fractures in his back that cause him constant pain. In 2010 his right leg was amputated below the knee due to complications from his diabetes. He is on dialysis 3 days every week to keep him alive. Even with insurance there are many expenses that must be paid out of pocket. Some of these are co-pays, deductibles, travel and relocation during the time of transplant and Bill will be on a life-time of expensive anti-rejection medications. This is where your help is desperately needed. A fundraising campaign in Billâ€™s honor has been established with HelpHOPELive, a nonprofit organization that has been assisting the transplant community for 30 years. All donations are tax-deductible, are held by HelpHOPELive in the Southwest Kidney/Pancreas Transplant Fund, and are administered by HelpHOPELive for transplant-related expenses only. Please consider making a contribution. On behalf of Bill and our family, thank you for your kindness, generosity, support and prayers. Bill got his transplant on May 31, 2014 and is doing great. He is looking forward to starting his new life without dialysis and insulin injections. His share of the hospital and living expenses while we were in Phoenix is well over $10,000. We will be working on some fundraising events in Albuquerque in the next few months. Thank you for all your help and good thoughts. Thank you Sharon for being there for him. Bill get better soon from your Dad! Heard about you from a friend, Cindy Semour. Good luck to you!!! Hey Bill, Hope all is well :) Glad you got your translplant!! God bless you Bill, one would be hard pressed to find people as courageous as you and your mom. It's a pleasure working with you on your road to recovery.